Saudi Arabia’s move to cut the cost of its oil to US customers has injected fear into the oil markets, bringing the price of OPEC crude below $80 and suggesting to some observers that the cartel is preparing for a global price war. OPEC production has remained level despite worldwide demand, and as a result, on Nov. 5, the cartel reported that its basket price – the average price of its leading grades of crude oil – had dropped to $78.67 a barrel the day before, the lowest in about four years. And US production has reached its highest level in more than three decades, creating a buyer’s market for oil. Saudi Arabia cut its price for US customers on Nov. 3. Meanwhile, along with Saudi Arabia, Iraq and Iran, two other major OPEC producers, also are cutting prices to Asian customers this month. Related: Will Asian Price Cuts Be Enough For OPEC? 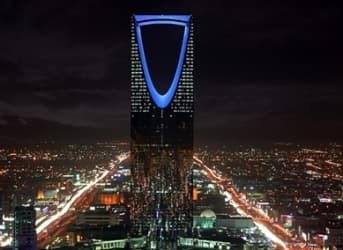 The reason for the Saudi move is a matter of some dispute. Some observers of the global oil market view the Saudi price cut to US customers as an effort to undermine the boom in American production of oil from shale. “The market reacted to it very negatively, thinking, ‘Here we go, we’re going to have a price war in the United States,’ ” Anthony Lerner, a senior vice president of industrial commodities at brokerage R.J. O’Brien & Associates LLC, told The Wall Street Journal. But another person familiar with the Saudi decision, whose name was not disclosed, told the newspaper that the aim was merely to lure US refiners to buy cheaper oil from Saudi Arabia and thus increase their profits. Whatever the Saudi motivation, industry insiders and observers from OPEC officials to oil price news services view these actions as leading to a price war. In Baghdad, for example, Iraqi Oil Minister Adel Abdul Mahdi told parliament on Oct. 30 that the struggle is internal in OPEC, with members fighting one another to hold on to their shares of the petroleum market. Meanwhile, the Oil Price Information Service (OPIS), which reports extensively on the oil trade, said in a Nov. 4 report that the Saudi move had caused a “panic” in the market. As frightening, or at least chaotic, as all this may sound, however, there are positive signs. AAA, the US auto club, said Nov. 4 that the national average for regular gasoline had fallen to $2.97, down 6 cents from the previous week and 33 cents from the same date in October. And industrial customers including hotels, restaurants, railroads and airlines also are likely to benefit from lower fuel costs. For now, the only losers are the oil and natural gas industries. They’ve been enjoying a kind of windfall in the past few years as they've increased exploration and production of shale oil. Now, though, their share prices are falling for fear that their profits will begin eroding. Is This Reformed Nation the Reason For Oil's Fall? This is precisely why it's a net positive for America to produce its own energy, so that the Saudis and others must lower their prices - which they, in turn, fund terrorists with - and not have a stranglehold that they can turn on whenever they want.